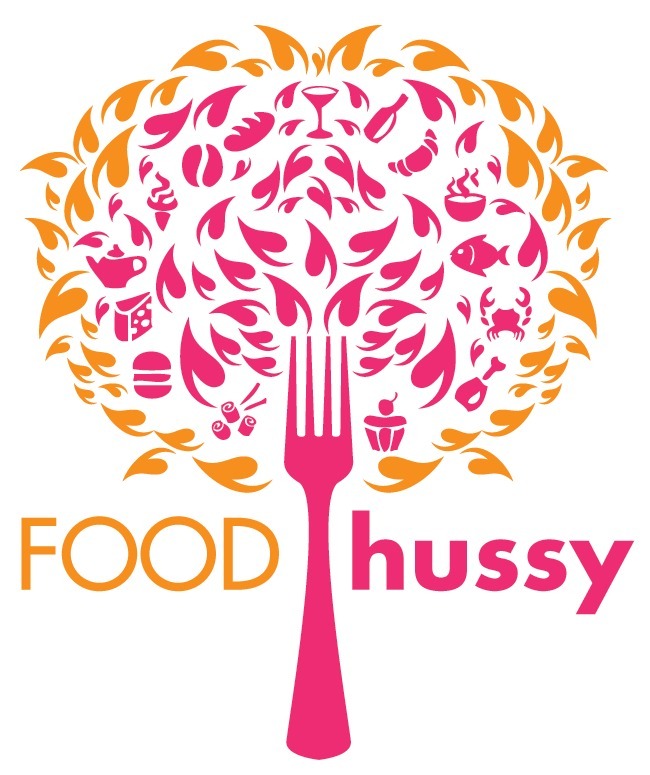 Cooking Light: Shrimp Fried Rice | The Food Hussy! I'm keeping moving on my Cooking Light blogger network and found so many great recipes that I had to try from the May issue and one of them was Shrimp Fried Rice! First I had to buy some rice and, as a couponer - I'm always looking for a deal. I found this big package on the clearance rack and snagged it. 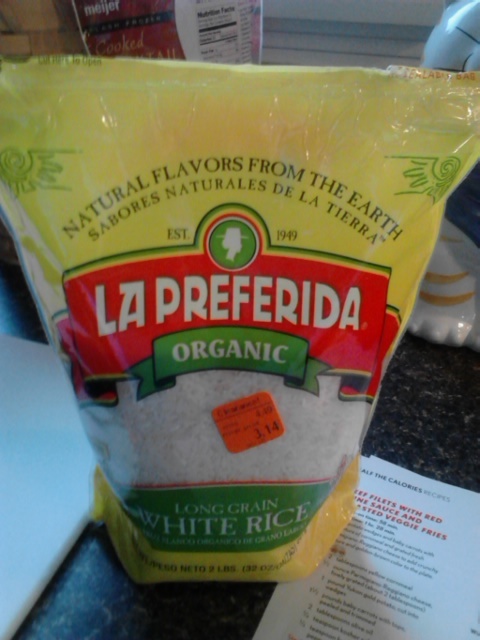 Larry loves rice and I've always been happy with this brand. 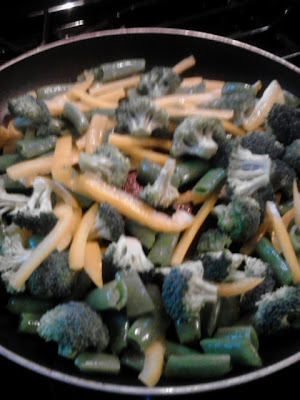 First up - I stir fried my veggies and then set them aside...I tend to modify recipes a bit to what I have and what we like. Larry isn't big on peppers so I used one yellow pepper, broccoli and snap peas. I would have added mushrooms but we were out. Then I was frying my rice! I cooked the rice first (recipe recommends day old - but I didn't plan ahead enough), then added a bit of oil to the skillet and put the rice in. I was really shocked at how much flavor this added to the rice - I will likely do this from now on - it's so much better!!!! 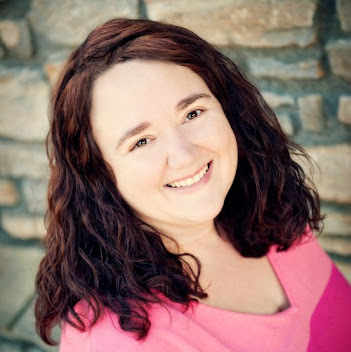 And since Cooking Light taught me this trick - I feel good about it health-wise as well. Then after removing the rice, I put the shrimp in the pan. I've never used the "fresh" shrimp with the shell on - I'm a bit nervous about all that peeling and worrying about veins and such. So I just use the bagged pre-cooked kind and we're always happy with them. I also ALWAYS pull off the tails before cooking - it's so much easier to eat and they pop right off when they're cold! 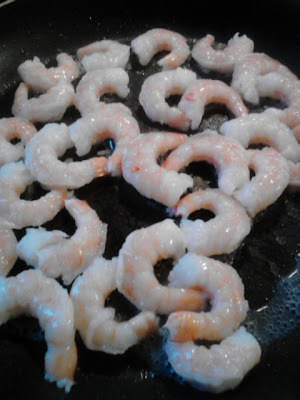 After all the cooking and setting aside - once the shrimp is done - throw it all back together in one pan and stir! I added soy sauce right in since Larry and I both like that a lot. I have to say this was EASY and DELICIOUS! Seriously - I will make this from now on - probably every week. As usual - I tweaked a bit: no edamame, sesame oil, rice vinegar or Sriracha (although I did buy some of that - it's really cheap)...but it was still incredibly delicious! Have you tried any new recipes from Cooking Light lately? I can't wait to try even more in June! This dish is best if you use day-old rice. Cook it and spread in a single layer on a baking sheet to cool completely. Then refrigerate overnight to allow it to lose any excess moisture. 1. Steam broccoli 4 minutes or until crisp-tender; set aside. Heat a large skillet or wok over medium-high heat. Add 1 teaspoon canola oil to pan. Add bell peppers and sugar snap peas to pan, and stir-fry for 2 minutes. Place vegetable mixture in a large bowl. Add remaining 2 tablespoons canola oil to pan; swirl to coat. Add ginger, and stir-fry for 10 seconds. 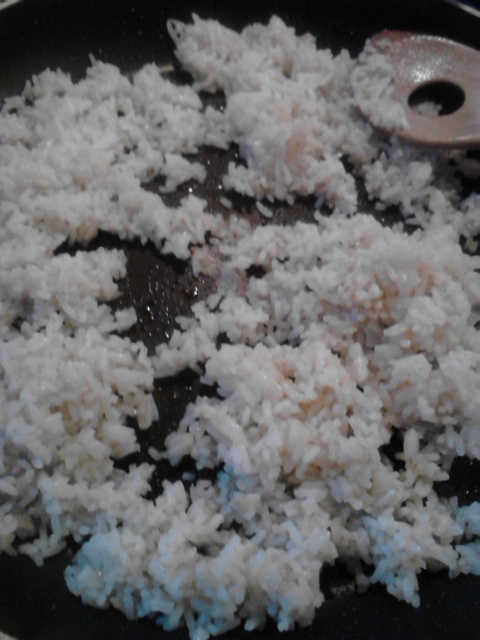 Add rice, and stir-fry for 5 minutes or until rice is lightly browned. Remove rice mixture from pan, and add rice to bowl with the vegetable mixture. 2. Wipe the pan with paper towels. Return pan to medium-high heat. Add sesame oil to pan; swirl to coat. 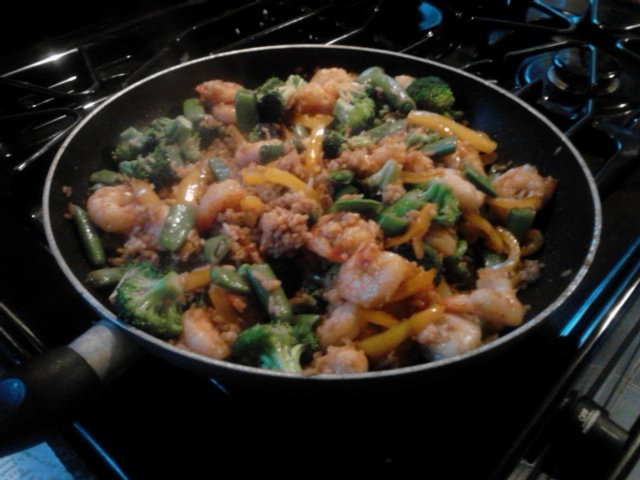 Add shrimp; stir-fry 1 minute. Add edamame; stir-fry 1 minute. Stir in soy sauce, vinegar, and Sriracha; bring to a boil. Cook for 3 minutes or until liquid thickens slightly. Add vegetable mixture and green onions; stir to combine. Cook for 1 minute or until thoroughly heated, stirring frequently. Serve immediately.